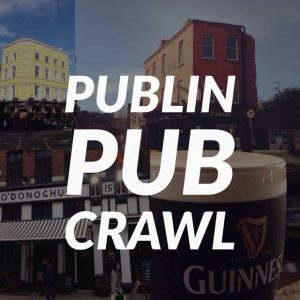 post-title Pubs that are NOT allowing 12 pubs of Christmas groups. A list. Pubs that are NOT allowing 12 pubs of Christmas groups. A list. 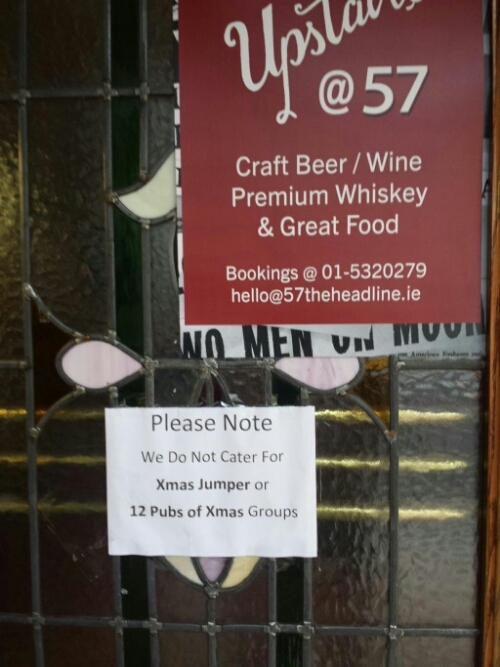 Home / 2014 / Pubs that are NOT allowing 12 pubs of Christmas groups. A list. Edit: View updated list for 2015. Link. Some city bars have decided this year that they do not want to participate in the recently created 12 pubs of Christmas tradition. Reasons vary from an inability to cope with an influx of people, complaints from regular customers, or rude and inappropriate behaviour from previous groups. For whatever reason, these are your safe havens from the 12 pubs. If you had originally planned on them being part of your route, then you may want to think again. I think it’s only fair to allow people to pick a venue that isn’t participating and to give them the option to opt out of a tradition they may not buy into. 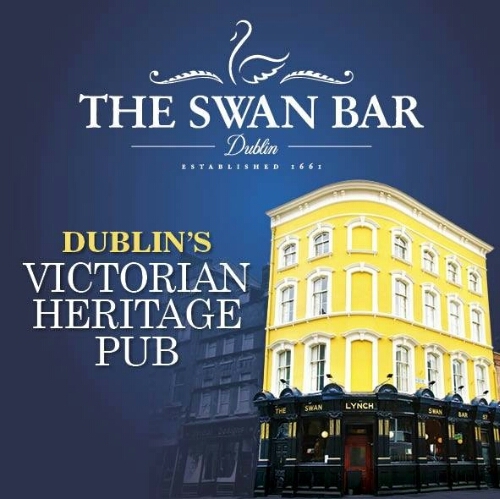 1: The Swan, Aungier street. One of the original Victorian era pubs. 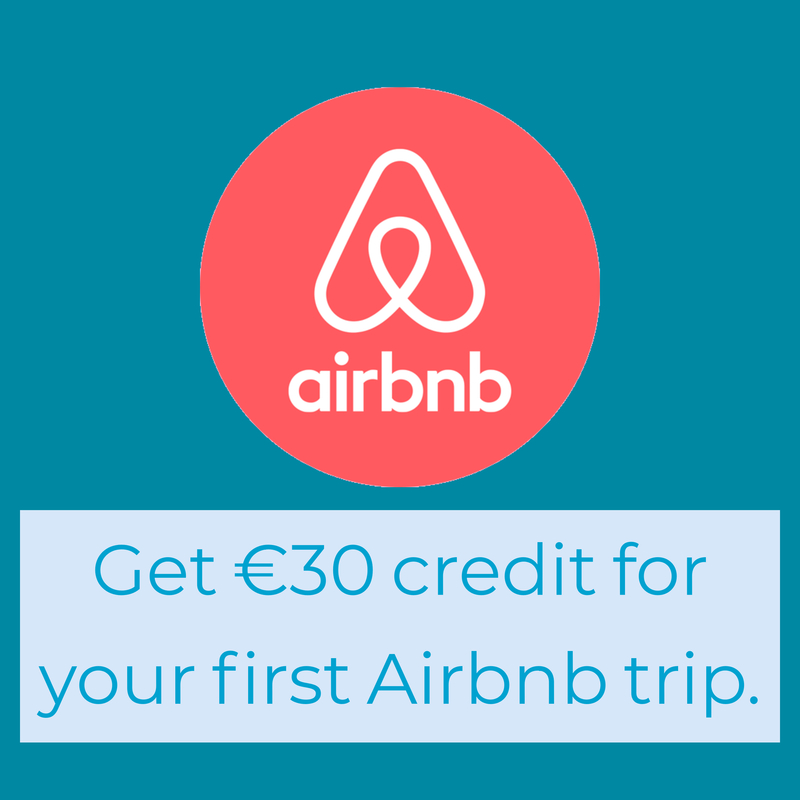 Boasts a fireplace and one of the best Guinness in town. A very underrated pub. 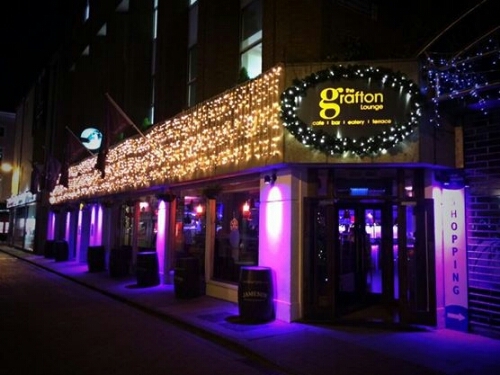 2: The Grafton Lounge: A very popular late night spot for groups. Always a DJ on and the house band play on Thursdays. One for the cocktail enthusiasts. 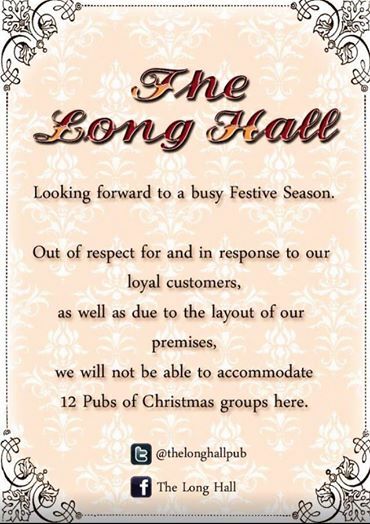 3: The Long Hall: Another excellent Victorian era pub. They made the following statement through social media. That’s fair enough I think. 4: The Old Stand: A lot of the old stands business is based around food, so they don’t want the hordes coming in and disrupting that. Again, very much fair enough. We’ve used a slightly romanticized image taken from the pubs Facebook, but I’m sure you’ll understand. 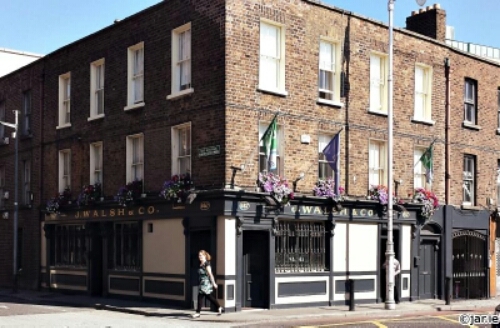 5: Walshes, Stoneybatter. Our friends in The Cobblestone in Smithfield tell us that Walshes is a 12 pub free zone. A fine place it is too. Again, great Guinness. 6: 57 The Headline, clanbrassil street. 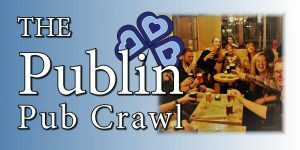 Dublin 8s best craft beer bar have said they too can’t cater for 12 pubs groups. An excellent spot for tasting 1 of 22 Irish craft beers on tap or dining from their reasonably priced menu in their new upstairs area. 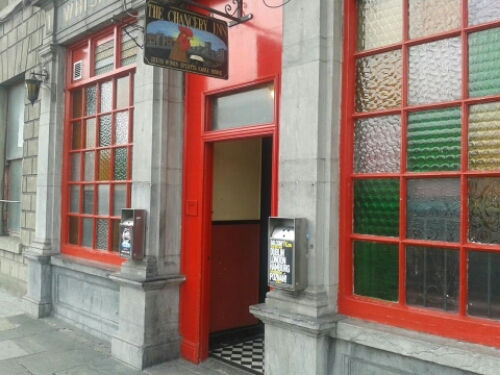 7: The Chancery Inn: “nothing against Christmas jumpers. Just sometimes the behaviour can be a shade enthusiastic. Especially if we’re pub number 12”. The Chancery, as well as being an early house, is home to various traditional and Latin music sessions. They gave me a free toasted once and I’ll always love them for that. 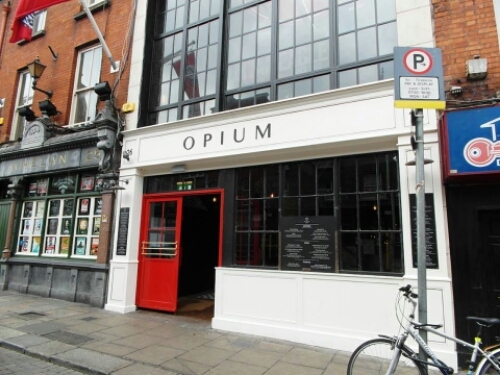 8: Opium: The Irish Times reported on Saturday that Opium weren’t participating in the 12 pubs. 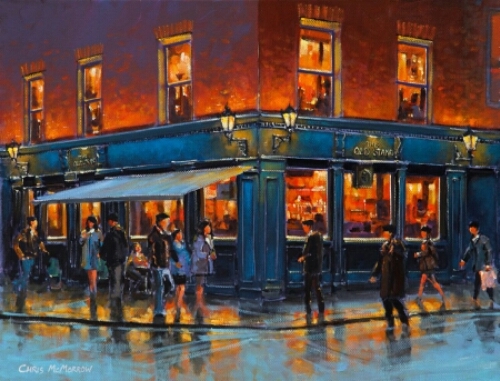 This is a good option for those looking for a late bar with great cocktails. If you’re in earlier, you might want to try their Thai and Vietnamese menu. 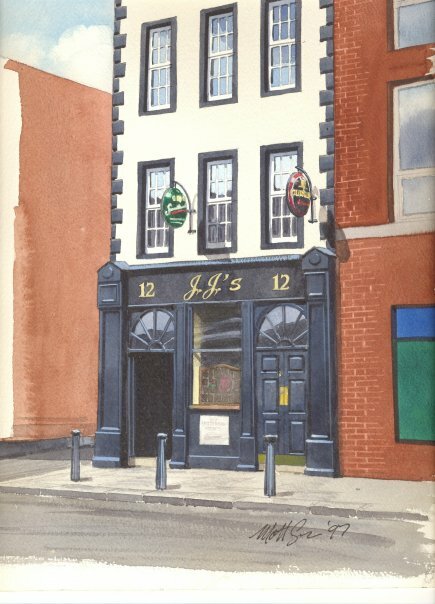 9: JJ Smiths, Aungier street is a family run pub known for its blues and jazz sessions upstairs. They’re continuing on their decision last year to keep their regulars happy and to avoid the larger crowds that the 12 pubs inevitably brings. 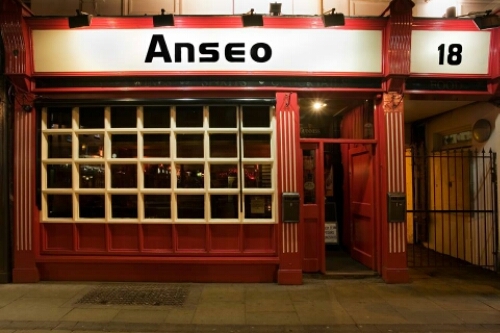 10: Anseo. A great spot that can be low on floor space at the best of times. They have a note on their door re: 12 pubs. 11: O’Connells, south Richmond street. A real old school type of place that wants to retain its atmosphere. If you come across or know of more pubs that aren’t catering for the 12 pubs of Christmas, send us an email to publinie@Gmail.com. If we get 12 we’ll have the 12 non 12 pubs of Christmas!